FIREFIGHTERS VISITED hundreds of homes across Angus to ensure people stay safe - as latest figures show the number of accidental house fires have fallen across the region. Crews have carried out a wide range of educational work as well as a total of 507 home fire safety visits across the area between April 2018 and June 2018. 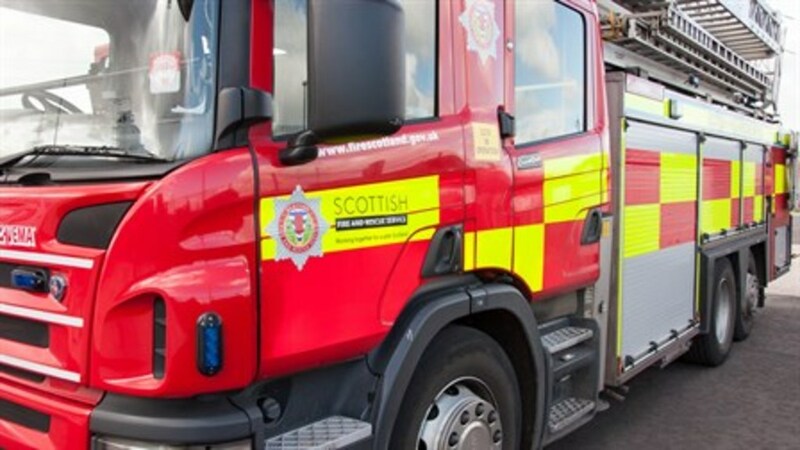 Home fire safety visits are a cornerstone of the Scottish Fire and Rescue Service’s effort to support people to stay safe at home, particularly the elderly and the vulnerable. Almost 50 per cent of these were targeted at the most vulnerable members of the community and 124 referrals for home fire safety visits came from partner agencies. Meanwhile, the statistics also show that the number of accidental dwelling fires during April 2018 and June 2018 was 16 - which is below average for that period. And there was only one casualty resulting from accidental fires during that period. Gordon Pryde, the Scottish Fire and Rescue Service’s local senior officer for Dundee, Angus, Perth and Kinross, presented the report to Angus Scrutiny and Audit Committee on 20 November. He said, “Prevention is key to our efforts in helping to keep communities safe. In reality, stopping a fire from occurring in the first place is at the forefront of our efforts. “One of the ways we work to prevent fire from occurring is through our free home fire safety visits where crews engage not only with families but with the most vulnerable in our communities to ensure we provide the most appropriate support to reduce the risk of unintentional harm in the home. “We’re here to help everyone stay safe but we’re particularly keen to support the most vulnerable and elderly within our communities. LSO Pryde added, “Our overall ambition is to have zero fire casualties throughout Scotland and the drop in casualty figures for this year in Angus shows we are moving in the right direction. The report also notes that the number of road traffic collisions has decreased from 36 to 24 this year. LSO Pryde said, “We see first-hand the devastating consequences of road traffic collisions. The report also revealed a total of 32 deliberate fires were recorded during the period of April to June 2018 – above the three year quarterly average. Most of these fires involved rubbish, wooded areas and grassland. LSO Pryde said, “Across Angus we continue to work very hard to raise awareness and educate on the potentially devastating consequences of deliberate fire raising. “Positive engagement with local communities, particularly with young people, remains our most effective weapon in combatting this unacceptable behavior. “Preventing these incidents from occurring in the first place is our main aim and as such we continue to engage with local schools and youth groups to highlight the risks.